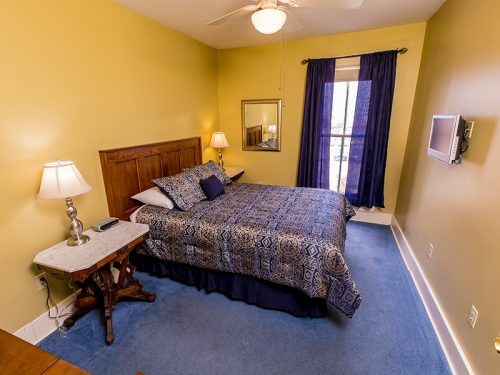 A comfortable Queen bed in a room located in the center of the Inn. North facing window allows just the right amount of natural light into this room. 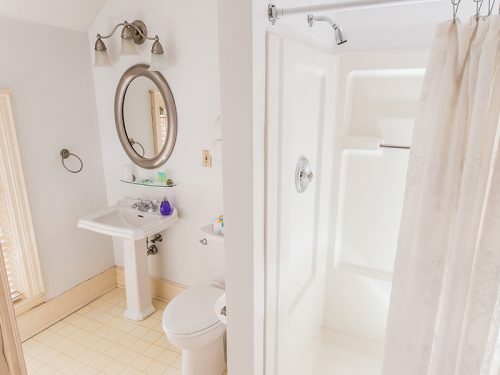 The charming private bath has another North facing window, allowing for lots of natural light. Wi-Fi and TV included.